Welcome to Phoenix West II! 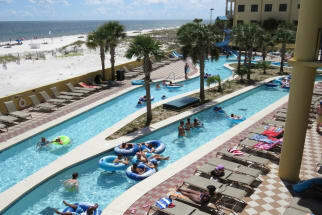 Here, this gorgeous condominium is located in Orange Beach, Alabama, right along the coast. Emerald Coast by Owner is proud to offer you a large selection of properties all throughout the area equipped with our usual luxury and elegance! We want to satisfy your every need when you stay with us, especially comfort. So when you aren’t relaxing in your condo, take a trip to our gorgeous beach, offering numerous activities that can be fun for everyone! Some of our most popular activities include paddle boarding, parasailing, deep sea fishing, fishing off shore, and boat tourism! When the fun is over and you’re ready to relax and enjoy a meal, the possibilities are endless! Phoenix II Condominiums are so perfectly located, you have a wide variety of restaurants all around you. Most of these places specialize in seafood and also provide you with an excellent view while you enjoy your meal, overlooking the coast. 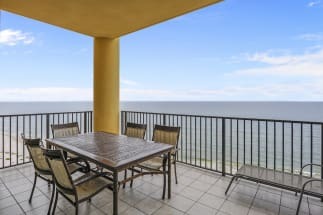 Emerald Coast by Owner is happy to bring you our selection of Vacation Rental Properties in Phoenix West II along Orange Beach West and more! Browse our listings and book online! When you book with Emerald Coast by Owner, we make it easy for you to choose where, when, and what you want to do on your trip. Contact the property owners directly with any questions, they will gladly assist you in the booking process!